In the unlikely event you find yourself on the Isle of Man later this week, I'm exhibiting some of my collection, along with a brief presentation. I'll be bringing a Datahand Pro II, a Keyboardio, a keymouse if it arrives in time, a 1985 Maltron that spent time at Porton Down, plus a load more. It'll be great to see you there. ...Okay, I'll post lots of pictures. Here's a few photos from the first time I ran this. This time, it's held at Microgaming's office (They let a local tech group I belong to use one of their meeting rooms in their frankly gorgeous building). Plus I want to get a picture of this next to my Kinesis Advantage. Sounds great! I hope that both people on the Isle of Man who have keyboards older than two years will love it. The keymouse was well received. I'm impressed with it so far. Thanks for sharing. Were all of the boards from your collection and how many people were at the event? Kurplop wrote: Thanks for sharing. Were all of the boards from your collection and how many people were at the event? The Typematrix 2030 isn't mine. The owner uses a customised bepo layout. It's really good to meet someone else with an interest in these things. There was around 12 people, maybe more I think. Everyone was really nice and friendly. 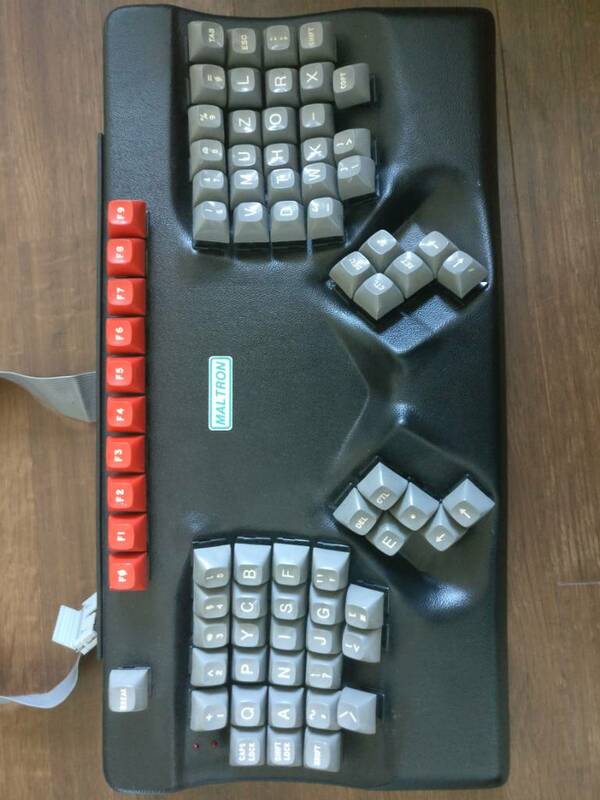 A few had an interest in keyboards before, so that helped.